When you are a support professional, one of the hardest things is to be able to say “no” to someone – especially to a client who needs something from you. We had a really great discussion about this last week in one of our OBM Virtual Retreat days… a few of the gals were sharing how they have such a hard time saying “no” to clients and as a result are finding themselves stressed and overwhelmed by taking on too much at once. Don’t stop! I think being a “people pleaser” is actually a good thing when you are a support professional – be it an OBM, a VA or otherwise. Being driven to “please” our clients by providing good work is a wonderful gift to offer – it is part of what makes you really good at what you do (and client’s can feel that). However, like anything that is a gift, there is also a dark side to this… and that is when you are SO driven to please others that you do so at the expense of yourself. When the thought of potentially letting someone down is so uncomfortable to you that you would rather just take it all on… leading to overwhelm, frustration and eventual burn-out… this doesn’t serve you or your clients in the long run, and I see it happen a lot. Put yourself in the shoes of your client for a moment – they have hired you to help them out with specific needs. They want to feel like they can depend on you and that you’ll be able to serve those needs. You are super swamped already, busy with a bunch of projects and your client comes to ask you for help with something. It is easy to think “just tell them no” right? Wrong. If they ask you for something, that is part of your role, and when you simply say “no” it leaves them hanging. It leaves them wondering if you are able to give them the support they need or if you are the person for the job. Saying no to your clients too much could ultimately end a working relationship. Same scenario – your plate is full, you are already swamped and your client comes to you asking for help with yet another thing. Instead of saying “no”, how about considering how you can say “yes on your terms”? How can you say “yes” to a client without adding to your already swamped/busy schedule? How can you say “yes” and still keep your sanity? Talk to your client about shifting priorities – Given that you already have a full plate, where does this new project fit in? I think by default we assume that everything has to be done all at once, which isn’t usually the case (nor is it possible) – and yet our clients may ask for everything at once, not understanding what it actually takes to get it done. Our job is to be able to say “given everything going on, I can’t do X, Y and Z all at once – so let’s take a look at everything, shift some priorities and deadlines so that we can get it done.” You’ve then set it up so that you can say yes to everything with new and realistic deadlines. Perhaps someone else on the team can help? – Even if your client is asking you for help that doesn’t mean you have to be the person to do the work. Talk to your client about the fact that your plate is already full, and if this needs to be done now, perhaps Suzy can help? (And be the one to get Suzy on board to do the work – don’t pass that back to your client.) You’ve set up a situation where you are able to say “yes” to getting the work done without adding it to your own plate – dreamy! Does this have to be done at all? – Many of us will have clients who fall prey to bright, shiny object syndrome – they get distracted by new, fun things that pop up on their radar and decide they want to do it “right now!” And then of course they come to you with that urgency to do the work and do it quickly. With a client like this you may want to probe a bit further: “We are really focused on A, B, C right now – I’m not clear on why this is important to add to the mix?” Sometimes with a bit of discussion and a gentle reminder of current priorities, you may get to the place where some things don’t need to be done at all or can be shelved for a later date. The bottom line is this – it’s not only about us. I believe we actually do a disservice to our clients when we say blindly “yes” to everything. Not only do we put ourselves in a situation of taking on too much and potentially starting to drop the ball… we set up unrealistic expectations with our clients who will come to expect you to always be able to “do it all right now.” This isn’t healthy for you or the business. Ideally, you want to get your clients to a place where they can see and understand the reality of what it takes to get things done, and that they can start to plan their own strategies and needs accordingly. When you both live in reactive “we need to do this now!” mode, that is simply not sustainable and all parties suffer for it. So let’s say “yes” loud and proud… and on our own terms. Do you take the holiday season off from work? Poll: Do you work on the weekends? Check out this video for my own journey with confidence and where it is leading me next. It occured to me today on one of our Future of Virtual Assistance calls that we are actually pioneers as virtual assistants, online business managers and the like. And yet I think that most of the people we know in the regular world (aka our non-virtual community) would say the same thing to our faces even here today. Most of my friends work regular jobs – teacher, nurse, corporate rock star – and we rarely if ever talk about work for the simple fact that they don’t understand what I do. Or perhaps i’ve never really tried to explain it properly to them? Hmmm… although I do know my best friend Tara doesn’t want to know – she’s a phys-ed teacher in middle school and neither of us gets what the other one does for a living, LOL! My point here is this – for those moments when you are feeling frustrated with your business, with finding new clients, connecting with current clients, keeping up with all the technology and all of the ‘not so fun’ stuff that comes along with being a virtual support professional – remember that you are truly a pioneer. This industry – working virtually at all – is so brand new and so foreign to many people that we are blazing the trail here. And blazing a trail can be hard work at times. The most common question I get from online business managers and virtual assistants is around how and where to find clients. And as we talk about alot in the OBM Community it can be tough! Because what we do is so new most people don’t understand how we can help them. 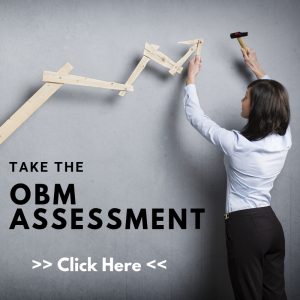 Say you are an online business manager or a virtual assistant and you might get a blank stare. It is up to us to EDUCATE business owners on how we can support their business growth, because many of them really don’t understand how we can help. And it is the education piece that I think alot of us forget about and therefore end up feeling frustrated… when it comes to finding new clients consider yourself an educator first and foremost. Educating someone is blazing the trail. We are all doing what we do for very specific reasons – for freedom in time, freedom to make more money, freedom to do the things we love to do. In my corporate days I always worked in a support role of some kind, and although I loved the work I hated being “boxed in.” This is why I love being in the virtual support industry as I get to still do the kind of work I love but on my terms. It’s up to me to become the professional I want to be, up to me to say yes to the opportunities that excite me (and no to those that don’t), up to me to enjoy being a solo-professional or look to build my own virtual support empire if I so choose. We get to make a choice in what we do, and I know that our friends in regular jobs generally don’t have this luxury. This makes me wonder what our world will be like another 10 years from now. Will working virtually be more the norm? Will my parents finally understand what I do for a living? 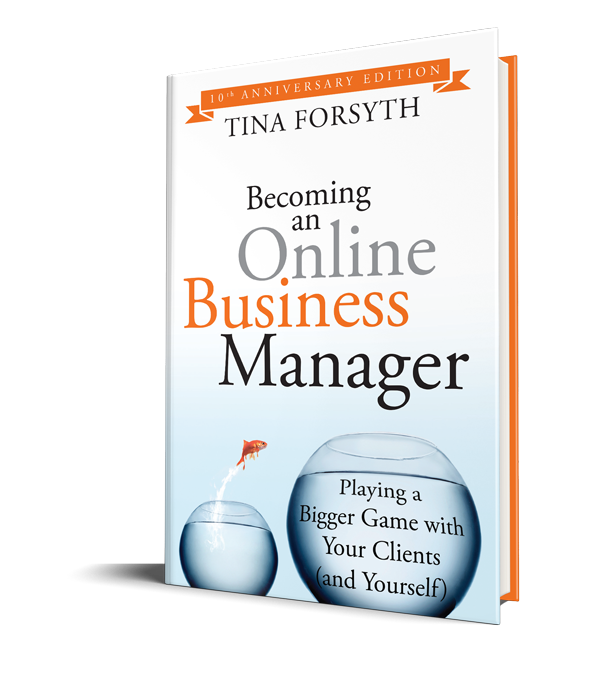 Will business owners understand when we say “I’m an Online Business Manager.”? That is very appealing of course, but in some ways I like being where we are right now blazing the trail. As they say here in cowboy land (good ole southern Alberta where I live) Giddy-up! With all the changes in my biz over the past few months I’ve been very purposely letting go of the ‘doing’ – with my awesome team in place (Tiffany and Marki) I’ve actually been able to pull myself out of a lot of the doing stuff that occupied much of my time. They’ve been lovingly slapping my wrist and taking things off my plate. It truly is a delight, I will admit. What has come as a surprise to me is where my focus is now – on making decisions for my business. This might sound kind of funny, but I hadn’t really realized before how much time and energy it takes to make a decision. Having spent many years as an Online Business Manager for other business owners, my focus has always been on implementation – someone else decided what the business was all about (made the decision) and I focused on making it come to life (doing). And yet, this is where the magic happens. Making decisions is all about creativity. It’s about considering what I want, how I can best serve those who need my help – and how to put that together in a way that has the biggest impact possible. It’s where I get to play, explore and create… all the fun stuff that most of us want to be able to frolic in right? But there are moments where I get stuck in my decisions… I’m not sure if I should do A or B, or maybe there is a plan C that I’m not aware of yet? And that can be SUPER tiring… what I call a toilet flushing moment, going around and around on the same thing and just getting dizzy. I guess the fear for me comes in around making a ‘wrong decision’ – what if I mess up? What if people don’t like or want what I create? What if it costs a bunch of money and makes nothing? What if I let my family down? What if my colleagues think I’m nuts? What if people point and laugh at me? Those are the things that I know can stop me, if I let them… and as I read them here they seem a bit silly. I guess it all boils down to being willing to take the risk, which is what entrepreneurs do right? What stops you from making a decision? See the thing is, without a decision NOTHING HAPPENS. Not sure why I felt compelled to put that all in caps but it’s true if you think about it. Decisions are the lifeblood of any business – especially a thriving, expanding business that is making an impact on the world. You make a decision, then you and your team can take action on it to bring it to life. That part is actually relatively easy – it’s making the decision that can be tough. Decision + Action = Impact. Where are you holding off on making a decision? Being stuck in the limbo of “I’m not sure what to do here” is truly a recipe for insanity. If need be, get some support in place to move through this – someone to talk it through with. I turn to my coach when I get stuck on stuff like this, so he can help me cut through the crap and make the decision.